I don’t have to say much more than the word “pizza” for my kids to get excited about eating. In the early days the only acceptable topping was cheese. Then they graciously accepted pepperoni, followed by Canadian bacon and pineapple. And then one day, much to my surprise—and delight—I heard my son adding mushrooms and onions to his order. Could it be? Vegetables? So now when I make pizza, I just add the vegetables I know my kids like—along with a few I’m hoping to get them to like! It’s a huge time saver and so easy to whip up a pizza on pita bread. I throw my pita bread vegetarian pizza on the grill and build it there. Once the cheese has melted, voilà—it’s done! 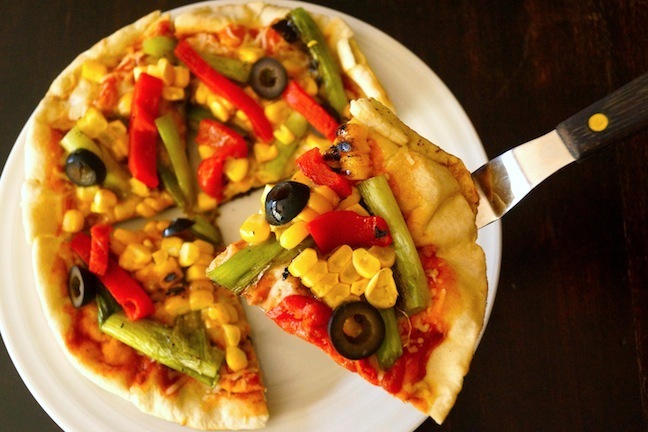 The trick to getting your kids to love vegetarian meals? Why, it's pizza, of course. Step 1: Preheat a stove-top grill (or outdoor BBQ) over medium-high heat. Step 2: Drizzle the corn and onions with olive oil, and sprinkle them with salt and pepper. 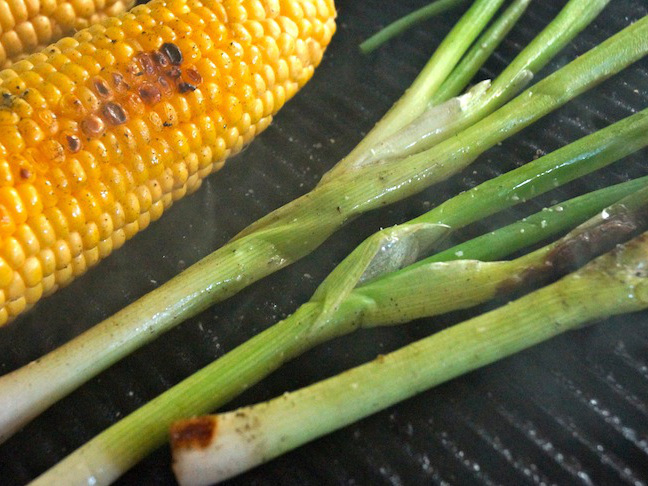 Step 3: Once the grill is very hot, add the corn and onions. You should hear a sizzling sound when they hit the grill—if you don't it's not quite hot enough yet. Step 4: Grill just to soften the vegetables slightly and to create golden marks on them—that's where the smoky grilling flavor comes from. 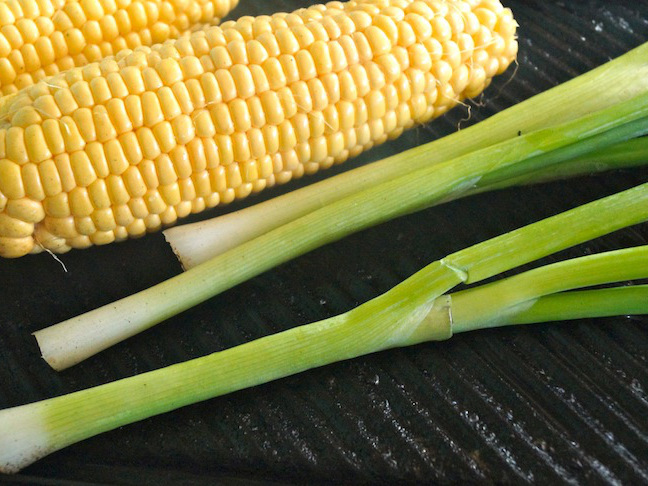 Step 5: Once they are cool enough to touch, use a chef's knife to remove the kernels from the corn cob, and roughly chop the onions. Set aside. Step 6: With medium heat under the grill, add the pita bread (likely two at a time, depending on their size). Spoon the sauce evenly over each one, and then evenly divide the cheese amongst them. While the cheese is melting, dividing them evenly, add some of the corn, onions, peppers, and olives to the top of each one. Step 7: When the cheese is completely melted and the toppings are warm, use a large metal spatula to remove the pizzas from the grill. Let them cool for a couple of minutes and then slice and serve! If you don't have a stove-top grill or BBQ, you can follow the same directions and use a large sauté pan. If you'd like to roast your own red peppers, here's how.